A scientist at Cardiff University’s Centre for Astrobiology claims that UFOs and extraterrestrials do exist after discovering a meteorite that crashed in Sri Lanka. Professor Chandra Wickramasinghe, 74, believes that aliens are true and that they may have been the creator of life on Earth as he found seaweed fossils inside the meteorite from the outer space. He asserts that the findings he got from the 2-inch wide meteorite are strong proofs that human existence came from the outer space and that what people called as unidentified flying objects may have even started life on the planet. The meteorite fell like a fireball and was found near a village a few miles from Polonnaruwa city. 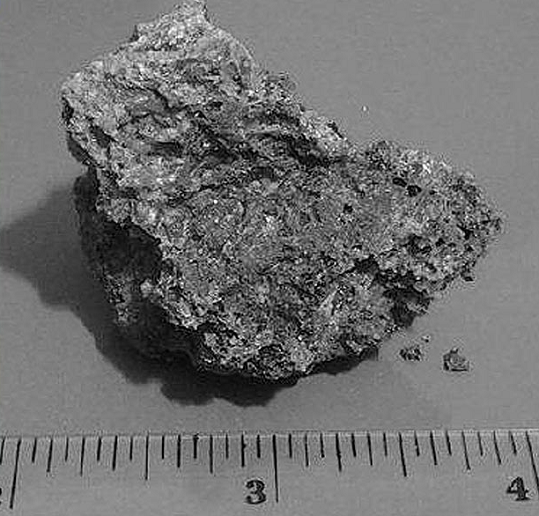 Fragments of the meteorite were brought to the university’s School of Earth Science. Examination using scanning electron microscope showed algae fossils that make up seaweed. The British professor thinks that the fossils clearly show how life on Earth started from outer space 3,800 million years ago. He adds that the organisms inside the meteorite are identical to ones found in the planet fossils. Moreover, Wickramasinghe insists that latest findings generate that fact that human life is associated with UFOs and that it may have been coming from other planets or galaxies. Other findings reveal that the meteorite contains other organisms that are still unknown. Wickramasinhe [what&#39;s with his name?] is an idiot! He states that &quot;human life is associated with U.F.O.s&quot;.This is pure conjecture, not proof! Life on earth did originate from the stars—-The creator of ALL life installed it here, not little green men. This guy needs a new brain. Perhaps his new brain will &quot;fall&quot; from outer space and this will be proof he is intelligent. @garethconnors Please comment more often. It kinda gets lonely around here with all the crazies. i have always believed –God arrives to this planet through Extraterrestrial Intervention . What goes up sometimes comes back down.Ask the dinosaurs? where are the microscopy pictures ? No proofs, just assertions. Was the description written by Borat? as a hindu monk 40 + years we know where life came from ask any hindu our sanskrit texts that are over 5,000 years old !! !